The term “quotation” can refer to a number of things. While to some it may refer to a quote which is proverbial, to some it is the price quotes by sellers. During a transaction between a seller and a buyer, there is some exchange of cash as we all know. 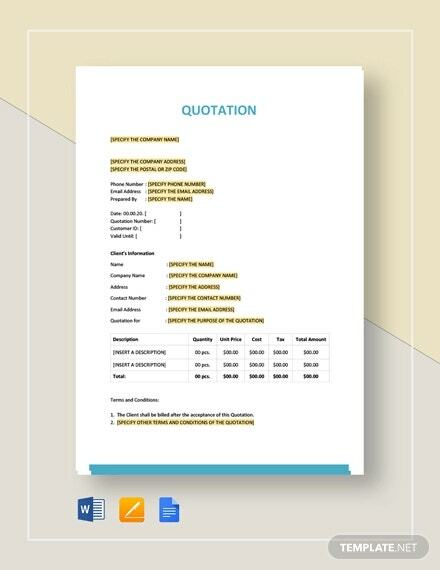 Now, a quoted price or a price quotation example is basically the final price at which a particular item or commodity is to be traded or sold. It has been agreed upon by both the parties involved- that is the buyer and the seller. 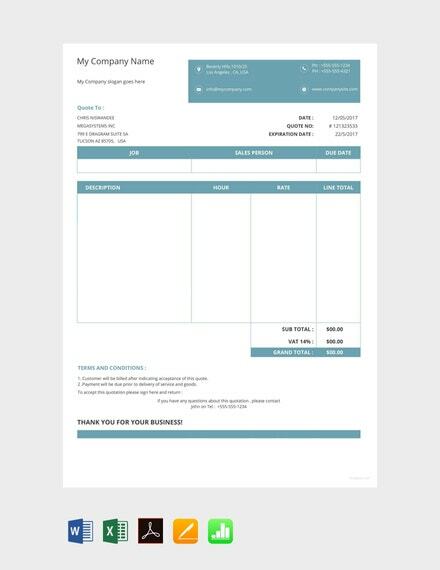 You can also see the price quotation template. It is of immense help to both the buyer and seller and guides the buyer as to how and at what rate each commodity has been rated.N ow as you can see, a price quote, or a quote of any kind, is not a matter of joke. It is complicated, to say the least. Isn’t it always better to be safe than sorry? 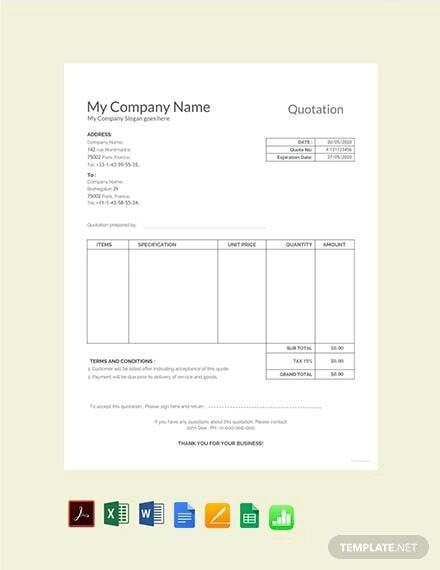 Well then, you need to try out sample quotation templates now. These will guide you in your endeavor, and help you achieve what you wanted. 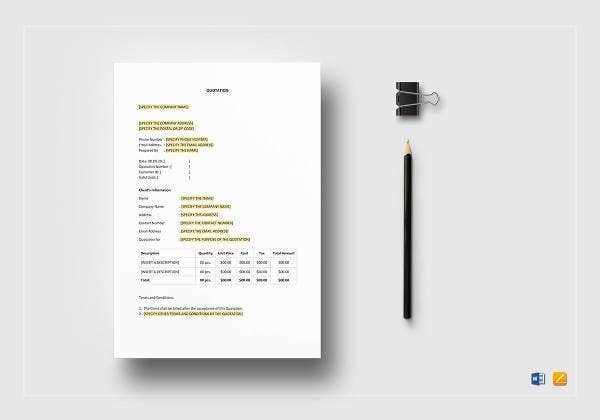 The quoted price or price quote of a product is the cost of coverage that is offered by the seller for that particular product. 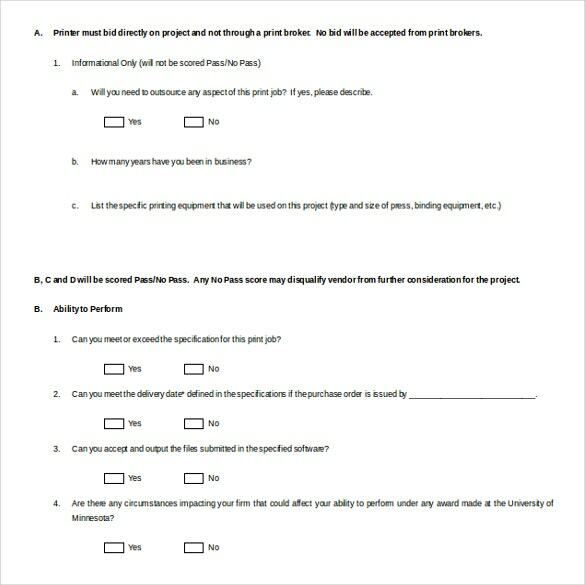 This is beneficial for both the buyer and the seller. 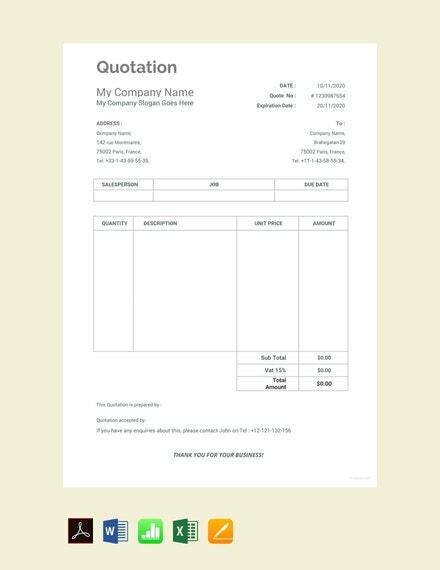 Estimate quotations also belong to the same field, but they provide an average or a blank estimate of the prices to be finalized. 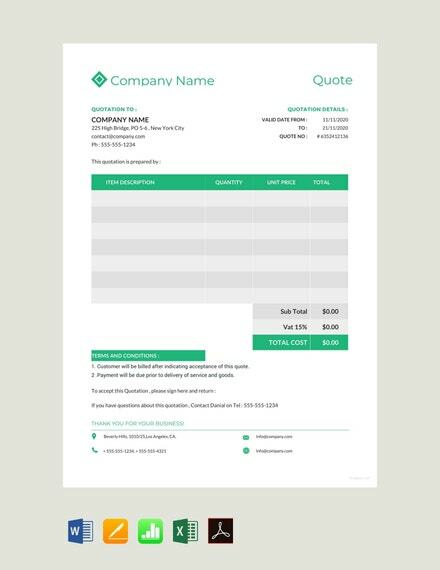 Why Should You Switch to Quotation Templates? It might so happen that you do not know much about quotations. There is nothing to feel bad about, one can always learn! 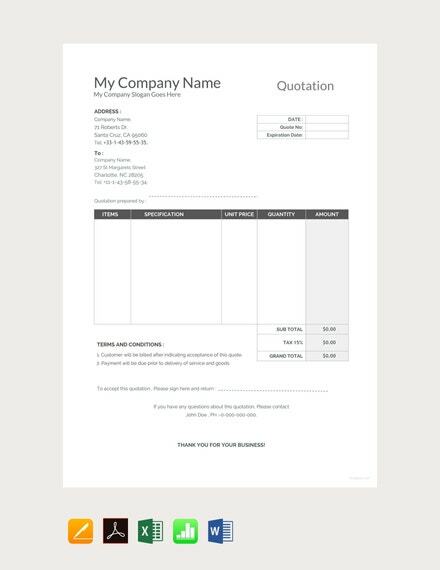 You can always look up downloadable quotation templates online and seek their help. 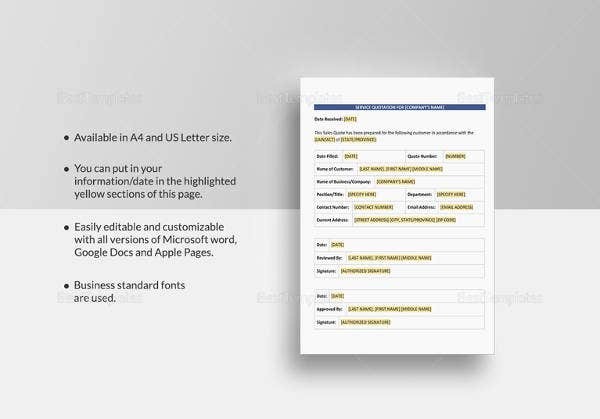 You can go through these templates, and understand the different types and how they are used. 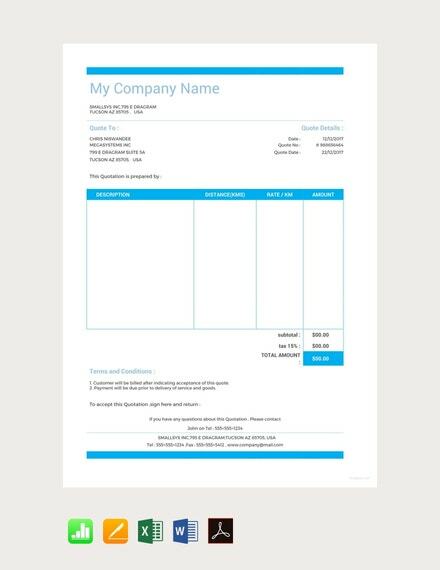 You can even download them and use them for your own benefit. 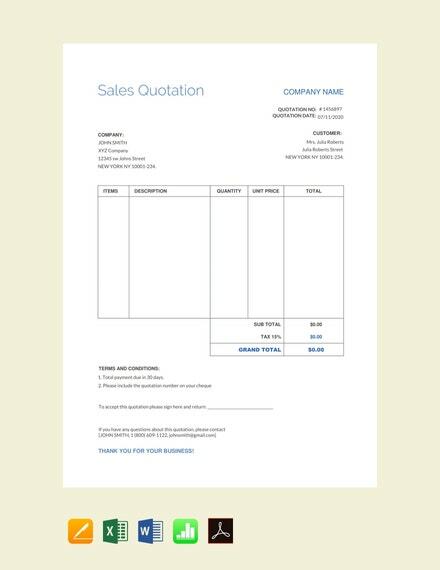 You may also see purchase quotation templates. 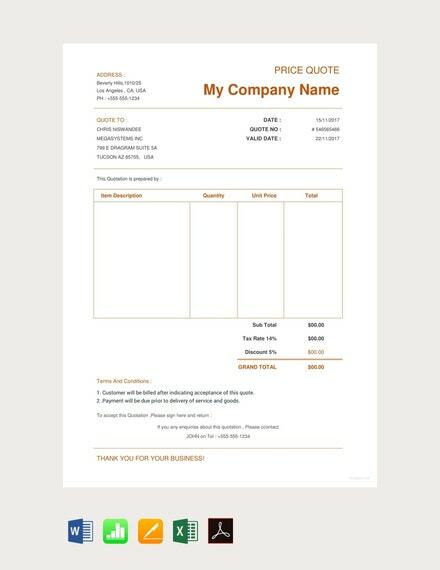 If you download quotation templates, you will be able to edit and customize them as well. 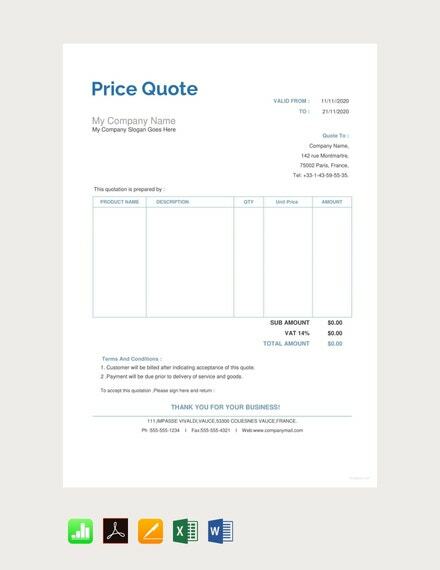 Price quotes usually have a very specific and standard format which must be followed. 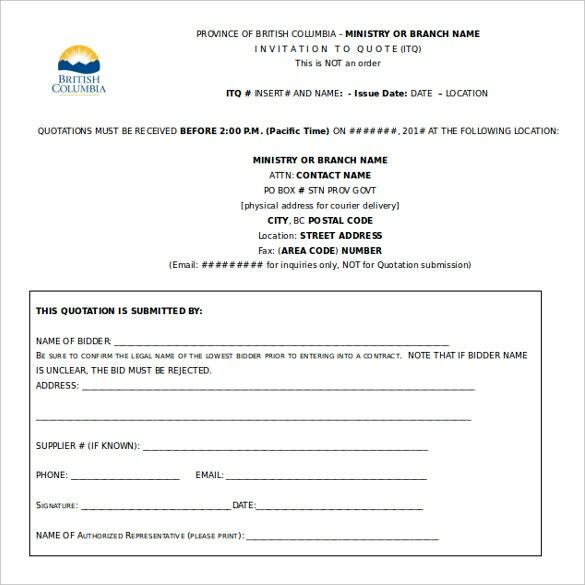 If you aren’t aware of this format, you must look them up online. 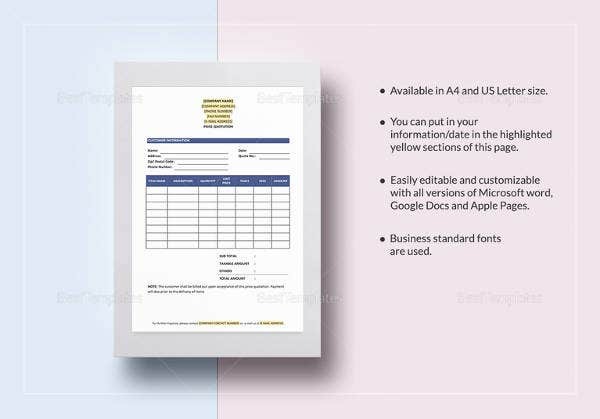 Examples of quotation Free Templates in Word would certainly go a long way in making your job much easier. 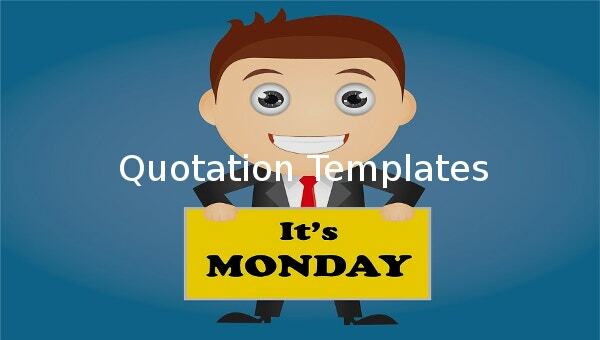 How To Choose the Best Quotation Templates? 1. 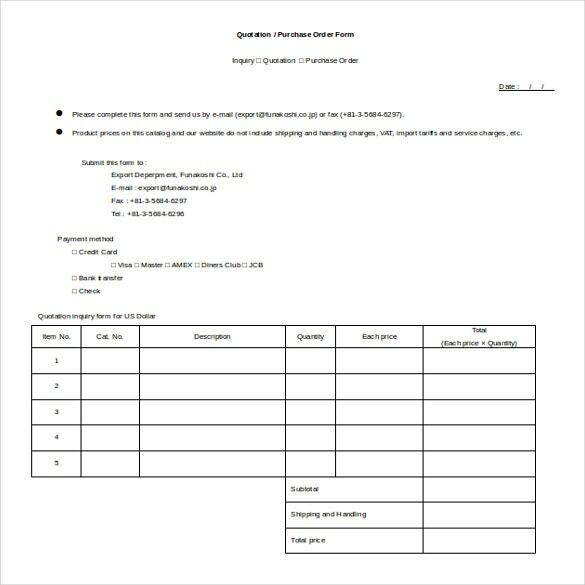 Before choosing the template, makes sure you know what types of the quotation you want. 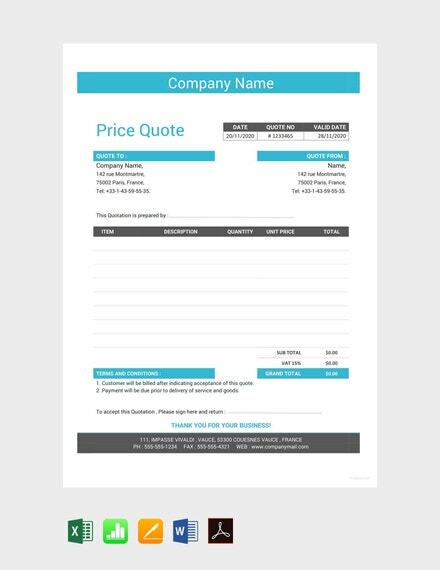 Do you want a price quote? 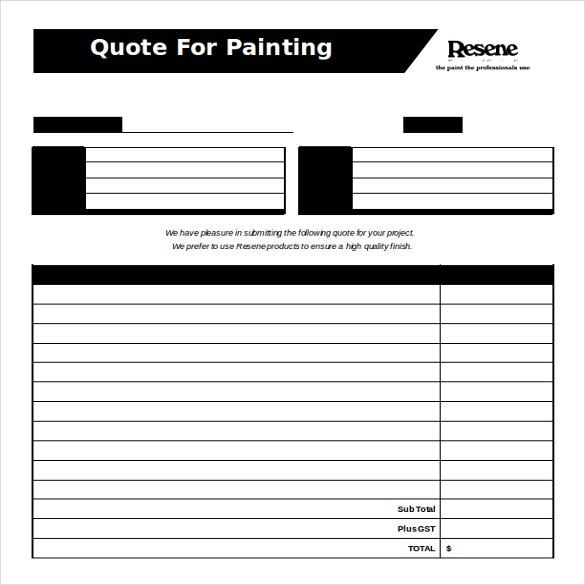 Or maybe you require an estimate quote. 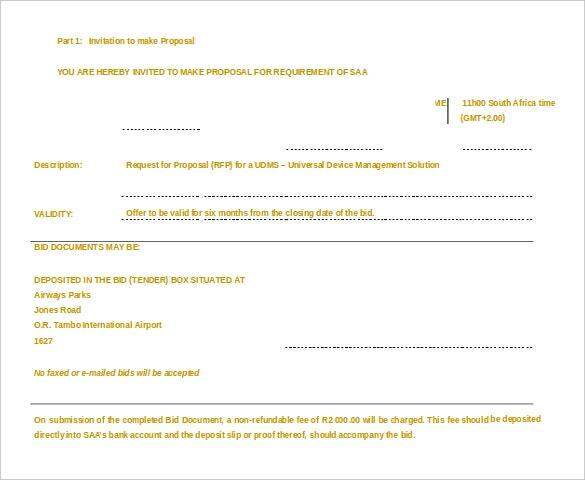 Each has a specific format which needs to be adhered to. 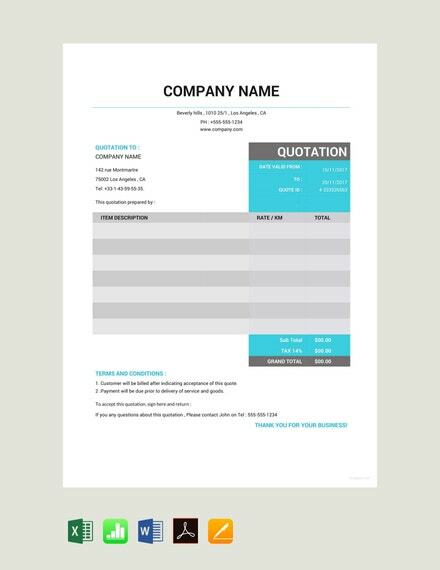 You may also see professional quotation templates. 2. Once you have decided upon the type, you need to narrow down your search accordingly. 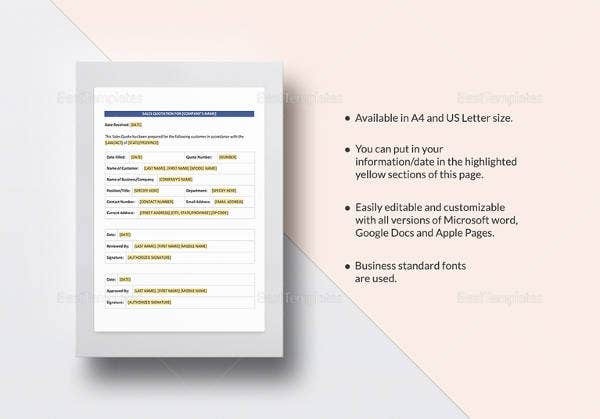 By searching for specific types of MS Word templates, you will be able to browse through a wide range of relevant options. 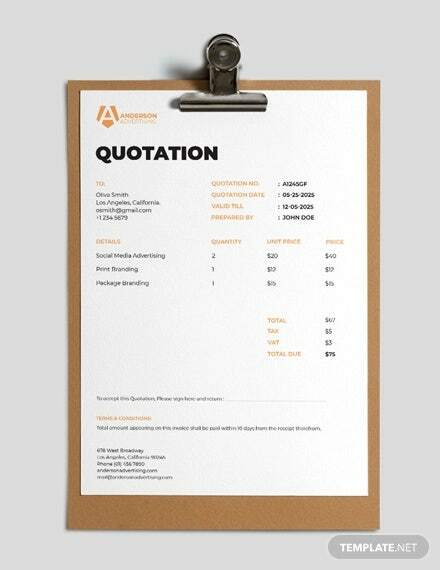 You may also see branding quotation templates. 3. Shortlist and select the ones you like. Weigh the pros and cons of each, and make an informed decision. 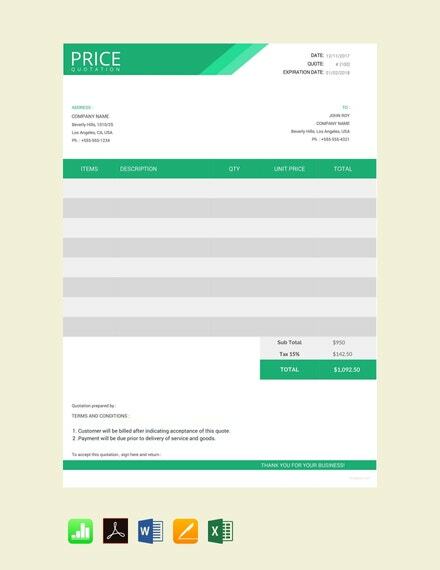 You may also see price quotation samples. 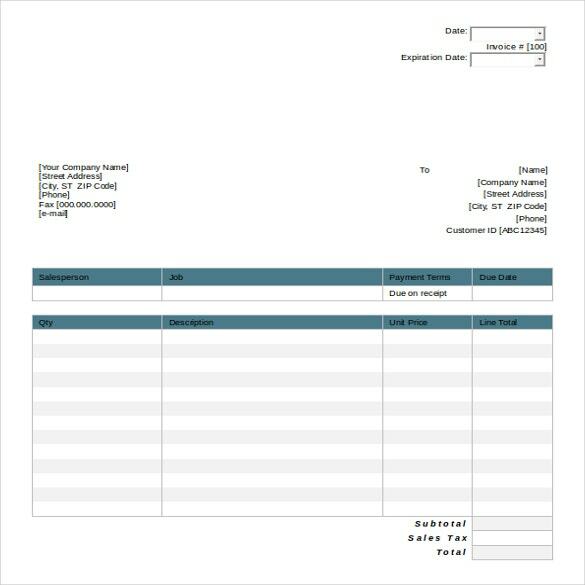 Looking for quotation templates in ms word? Well, you cannot afford to miss out on the ones at template.net!